Case #1: Our client enter the U.S. without inspection over 20 years ago and has been living in the U.S. with his U.S. citizen wife. He has been unable to adjust his status in the U.S. and get a green card because he had no proof of lawful entry. After the new provisional waiver process was announced, our clients hired us to file a provisional waiver for them. Under the provisional waiver process, immigrant spouses of U.S. citizens who require a waiver for unlawful presence and unlawful entry can file such waiver in the U.S. (without having to depart to their native country) and wait for the decision in the U.S. However, once the provisional waiver is approved, the immigrant spouse must depart the U.S. to get the approved immigrant visa (or green card) from the U.S. Embassy in their native country. Our client got his I-601A provisional waiver approved, returned to Mexico to retrieve his immigrant visa and has successfully re-enter the United States. To view the redacted copies of our winning decision in this case, CLICK HERE. Case #2: Our client entered the U.S. with a C-1 (crewman visa) which is still considered entry without inspections. He is married to a U.S. citizen, has 3 young U.S. citizen children, owns a business and owns investment real estate. Our office prepared an extensive I-601A provisional waiver application after receiving a Form I-130 approval on the marriage to the U.S. citizen. We received an approval on the I-601A provisional waiver and client successfully went back to Guyana to retrieve his immigrant visa and returned to the United States without any problems. To view the redacted copies of our winning decision in this case, CLICK HERE. Our office proudly represents lawful permanent residents (or green card holders) who seek to become U.S. Citizens. Some applicants choose to hire our office because of an old arrest, prior short marriage, prior tax issue or just want the process to run smoothly. We have successfully helped thousands of clients become U.S. citizens. Here are some of our clients oath ceremony notices. Case #1: Our client entered the U.S. legally but committed a crime involving moral turpitude (theft crime) when he was younger. He was now married to a U.S. citizen and had 3 children. We prepared and file the required immigration petition to adjust his status to lawful permanent resident. At the immigration interview, the officer determined he was “inadmissibility” due to the crime he committed and required our client to file a waiver. Our office worked diligently with our clients to gather evidence to prove the extreme hardship to his family if the waiver was not granted. We were successful and put client received an approval on his waiver and his green card was issued. To view the redacted copies of our winning decision in this case, CLICK HERE. Case #2: A mother of a U.S. citizen committed a theft crime that made her inadmissible (or ineligible) for a green card or permanent resident status in the U.S. Our office prepared and file the required petitions to adjust her status in the U.S. and an application for a waiver due to her criminal history. We received an approval of her waiver and her application to adjust her status to permanent resident status in the U.S. To view the redacted copies of our winning decision in this case, CLICK HERE. Case#1: Our office represented a U.S. wife seeking an immigrant visa for her husband. Her husband, now living in Haiti, was previously in the U.S. and was removed/deported to Haiti after a denied asylum application. We filed Form I-130 on behalf of the married couple and prepared a waiver package for Form I-601 and Form I-212 seeking permission for re-entry into the United States. Our clients received an approval on Form I-601 and Form I-212 and returned to the United States. To view the redacted copies of our winning decision in this case, CLICK HERE. Case #2: We represented a young lady from St. Lucia who entered the United States at age 5 and remained unlawfully in the U.S. while her family sought asylum. The asylum case was denied and a removal/deportation order was issued by the immigration court. However, the entire family remained in the U.S. and did not return to St. Lucia. Immigration officers detained the entire family and deported our client to St. Lucia. 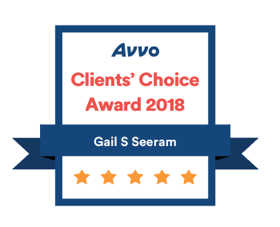 Our client had an immigration petition filed by her U.S. citizen husband and our office filed a I-601 and I-212 waiver seeking her re-entry to the United States. The waivers were approved and our client returned to the U.S. to be reunited with her husband. To view the redacted copies of our winning decision in this case, CLICK HERE. 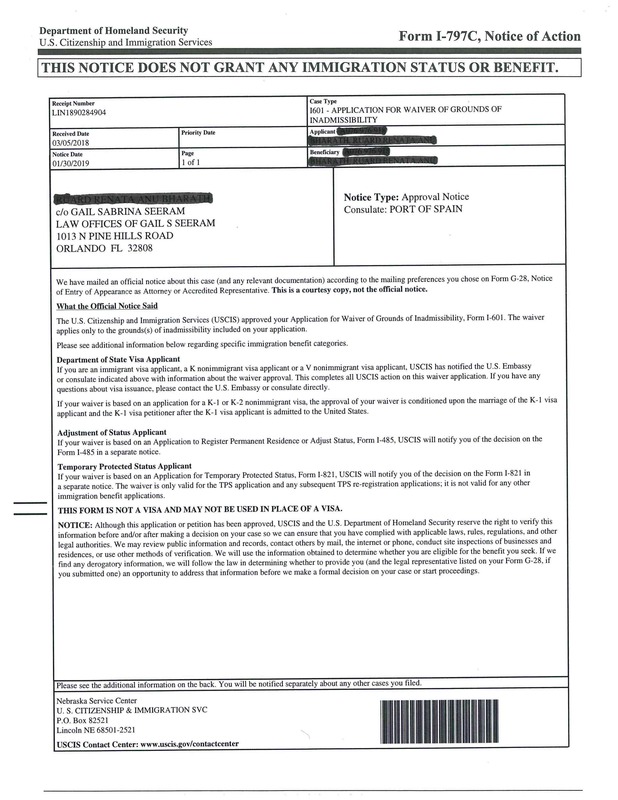 Case #3: We filed a waiver seeking re-entry after prior removal/deportation for a client who was married to a U.S. citizen at the time of her removal/deportation from the U.S. She was deported to St. Lucia and lived in St. Lucia while her U.S. husband served in the U.S. Navy – they were separated for over 3 years while we filed immigration petitions and waivers seeking her return to the U.S. 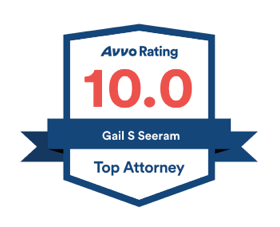 The I-601 and I-212 waivers were both approved and our client returned to the U.S. and is now living with her U.S. citizen husband. To view the redacted copies of our winning decision in this case, CLICK HERE. Case #4: Our client previously presented a fraudulent marriage certificate to the U.S. Embassy when seeking a tourist visa. Of course, he was never issued the tourist visa but 10 years later his U.S. citizen wife filed a family-based immigration petition for him to get a green card. When he went for his interview at the U.S. Embassy for his immigrant visa (or green card), he was required to file a waiver in order to qualify for the immigrant visa (or green card). Our office worked closely with his family to gather evidence to prove extreme hardship and the submitted waiver was approved. Our client is in New York and united with his family. To view the redacted copies of our winning decision in this case, CLICK HERE. Case #5: Our office represented a client in Haiti who was previously living in the U.S. unlawfully and returned to Haiti to process for his immigrant visa at the U.S. Embassy. He was required to file a waiver for re-entry because his previous unlawful presence in the U.S. banned him from returning to the U.S. for 10 years. 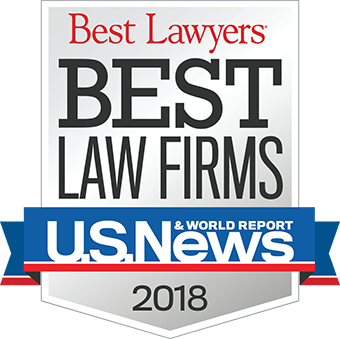 Similarly, we represented a client in Jamaica who was required to file a waiver for re-entry because he committed a crime in Jamaica that made him inadmissible to the U.S. In both cases, we successfully filed waivers and both clients were approved and are living in the U.S. To view the redacted copies of our winning decision in these case, CLICK HERE. case #1: Our client entered the U.S. legally and overstayed to be with his U.S. citizen mother and sister. He used a false identification and was charged by law enforcement. Subsequently, he was transferred to an immigration detention facility because he had no legal status in the U.S. Our office was retained to file a motion for a custody determination in front of an immigration judge. The immigration judge granted our request for a bond and our office was released from immigration detention. To view the redacted copies of our winning decision in this case, CLICK HERE. Case #2: The immigrant spouse of a U.S. Citizen applied for adjustment of status and was denied because she had a removal order. Our office later discovered that the immigrant spouse was married before and the previously immigration case was denied and a notice to appear in immigration court was issued to her but she never received it because she moved out of the marital home. The immigrant spouse was not aware that when you do not appear in immigration court, a removal order is automatically issued in your absent (called an in abstention order). Soon after her interview, Immigration & Custom Enforcement came to her house and arrested her and detained her at a local detention center. Our office was retained to represent the immigrant spouse and we got her released from the immigration detention center on an electronic monitoring device (or anklet). We filed a motion with the immigration court to reopen her removal case and rescind the in abstentia order due to her not receiving the notice of hearing to appear in immigration court. The immigration judge denied the motion to reopen. We appealed the denial to the Board of Immigration Appeals. The Board of Immigration Appeals reopened her case and the immigration judge later terminated the removal proceedings so she could adjust her status to permanent resident status through her U.S. citizen spouse. She is now a U.S. citizen. To view the redacted copies of our winning decision in this case, CLICK HERE. Case #3: Client was removed/deported to Guyana in July —- for a drug offense committed in Florida. The Florida laws changed regarding the treatment of the drug offense committed by our client. Our office filed a motion to reopen the removal/deportation case with the Board of Immigration Appeals based on the change in Florida drug laws and the removal/deportation case was reopened and client was returned back to the U.S. At the reopened immigration proceedings in October —-, our office filed for cancellation of removal and after a three (3) hour individual hearing, the immigration judge granted our application and allow our client to remain in the U.S. as a permanent resident. To view the redacted copies of the removal order, motion to reopen and order granting cancellation of removal, CLICK HERE. Case #1: We represented a client from Guyana who entered the United States with a visitor visa. He decided to overstay in the U.S. because his parents and sibling were all in the U.S. with lawful permanent resident status. He did not obtain permanent resident status because he aged-out (was over age 21) and could not obtain lawful permanent resident status as a derivative through his parents. My client was place in removal proceedings on the grounds that he had an immigration violation (in the U.S. without valid visa). Since he was age 21 and had no arrest or convictions, we asked the Office of Chief Counsel to consider granting our client prosecutorial discretion and administratively close his removal case. The Office of Chief Counsel reviewed the evidence we submitted to document our client’s hardship and granted our request for prosecutorial discretion. 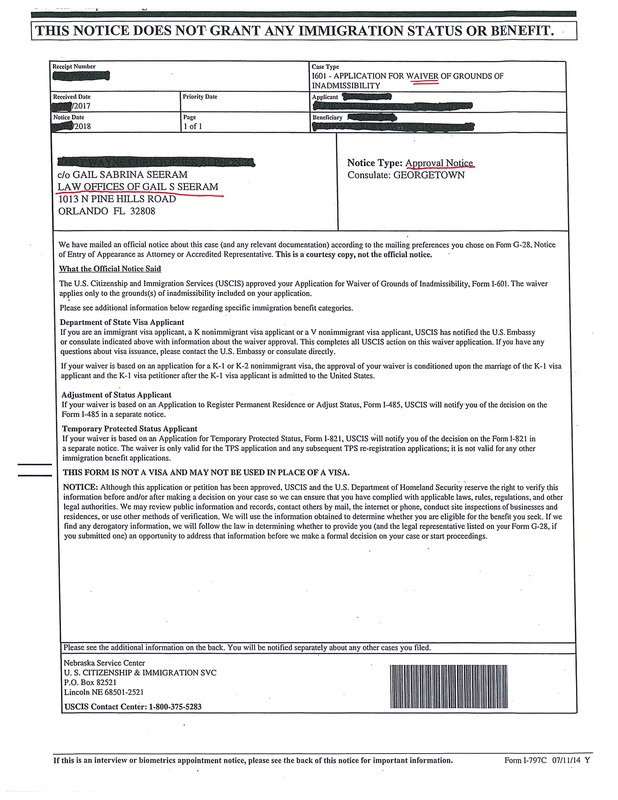 Our client’s case is now administratively closed but he may seek to reopen his case at any time if he is eligible for relief to seek lawful status in the U.S. To view the redacted copies of our winning decision in this case, CLICK HERE. Case #2: Our client from St-Kitts-Nevis was a lawful permanent resident since 1988. She signed up to vote in the U.S. after being advised by a voter registration volunteer that was eligible to register to vote since she was a permanent resident for over 20 years. When she received a voter registration card, she thought she was required to vote in the U.S. When she applied for U.S. citizenship and she informed the immigration officer that she voted – he placed her in immigration removal proceedings. Our client had no relief from removal. We applied for prosecutorial discretion with the Office of Chief Counsel and after they considered our client’s action of voting, the local government error of issuing the voter’s registration card and our client’s good character. The Office of Chief Counsel granted prosecutorial discretion and no longer pursued removal proceedings after my client and the immigration judge administratively closed the removal case. To view the redacted copies of our winning decision in this case, CLICK HERE. Case #3: We represented a native from Guyana who has lawful permanent resident status in the United States. Soon after entering the United States, he was convicted of child abuse and contributing to the delinquency of a minor. He was placed in removal proceedings by Immigration and Custom Enforcement (ICE) after being detained during a regular visit to his probation officer. We advised our client to seek post-conviction relief to get his criminal case vacated through hiring a criminal defense attorney. He was successful in getting his criminal case vacated and in turn the immigration judge terminated the removal proceedings against him. He continues to live and work in the United States. To view the redacted copies of our winning decision in this case, CLICK HERE. Case #4: Our client was married to a U.S. citizen and received a conditional (2 years) green card. When it was time to file the I-751 to remove the conditions from his green card, he was no longer married to his U.S. citizen wife. Our office filed I-751 seeking a waiver but the immigration officer denied the I-751 claiming the marriage was not good-faith. Our client was placed in removal/deportation proceedings. We filed another I-751 with additional evidence to prove our client entered his marriage with good-faith and his marriage was not for the purpose of gaining an immigration benefit. We had another interview with immigration and the I-751 was approved. The immigration judge agreed that the I-751 waiver demonstrated a good-faith marriage and terminated the removal/deportation proceedings and our client received an unconditional 10 years green card. To view the redacted copies of our winning decision in this case, CLICK HERE. We represented an immigrant from Haiti who filed for asylum. He fled Haiti because of threats to his life and past persecution he faced while living in Haiti. Our office assisted our client in proving his eligibility for asylum in immigration court. The immigration judge and trial attorney from the Office of Chief Counsel agreed that my client was eligible for asylum and did not object to the granting of asylum to my client. To view the redacted copies of our winning decision in this case, CLICK HERE. Case #1: Our client entered the United States from Philippines at age 17 and adjusted his status to lawful permanent resident status through his parents employment-based sponsorship. As a teenager, he was convicted of a grand larceny offense. During his last probation visit, he was detained by Immigration and Custom Enforcement (ICE) and issued a Notice to Appear in immigration court. The United States government was seeking to remove my client based on him committing an aggravated felony relating to a theft offense where the term of imprisonment at least one year may be imposed. We argued before the immigration judge that our client was eligible for a 212(h) waiver. Upon submission of the relevant documents, our client had his removal proceedings terminated by the immigration judge. To view the redacted copies of our winning decision in this case, CLICK HERE. We represented a native of the Philippines who was convicted of a fraud offense so after entering the United States. He was placed in removal proceedings for having committed a crimes involving moral turpitude. Since his plea and conviction was before 1996, we applied for a 212(c) waiver in immigration court. Upon considering the hardship and positive factors in our client’s case, the immigration judge granted our 212(c) waiver application, terminated removal proceedings and allowed our client to remain in the United States. To view the redacted copies of our winning decision in this case, CLICK HERE. Case #1: We represented a noncitizen from the Bangladesh, who enter with a B-2 tourist visa nearly 25 years ago and overstayed in the United States. He was married to a U.S. citizen and filed various immigration petitions – all denied. He was placed into removal proceedings in immigration court. He had no criminal conviction. We presented the immigration court with evidence of his eligibility for cancellation of removal as a non-lawful permanent resident based on his 10 years residency in the U.S., his good moral character and the extraordinary and extremely unusual hardship his U.S. citizen spouse would faced if he was removed to Bangladesh. We argued our client was eligible for cancellation of removal as a non-lawful permanent resident. The immigration court judge agreed and granted relief. Our client is now a lawful permanent resident. To view the redacted copies of our winning decision in this case, CLICK HERE. Case #2: Our office represented a lawful permanent resident who had pled guilty to a domestic violence. He was being held at an immigration detention facility and was facing removal/deportation proceedings in the immigration court. We represented him and filed an application with the court for cancellation of removal and conducted both his master and individual hearings. The immigration judge granted the application for cancellation of removal and the removal/deportation proceedings were terminated. Our client retains his lawful permanent resident status and will be filing for U.S. citizenship very soon. To view the redacted copies of our winning decision in this case, CLICK HERE. Case #3: A client from the Netherlands was a lawful permanent resident charged with two possessions of marijuana (under 20 grams) and was a lawful permanent resident for over 30 years. Returning from his honeymoon trip to Bahamas, the client was stopped by immigration and charged as inadmissible. We successfully argued he was eligible for cancellation of removal and a lawful permanent resident. The immigration court agreed and the removal or deportation proceedings were terminated. To view the redacted copies of our winning decision in this case, CLICK HERE. Case #4: Client was a lawful permanent resident for nearly 28 years and traveled to his native St. Vincents and upon his re-entry was detained and his green card taken away by immigration officials. He was placed in removal/deportation for two possession of marijuana convictions that occurred in the 1990s. He had five (5) U.S. Citizen children and a U.S. Citizen wife. Attorney Gail Seeram presented the immigration court with overwhelming evidence of the hardship to his family and the immigration judge granted cancellation of removal and terminated the removal/deportation proceedings. To view the redacted copies of our winning decision in this case, CLICK HERE.